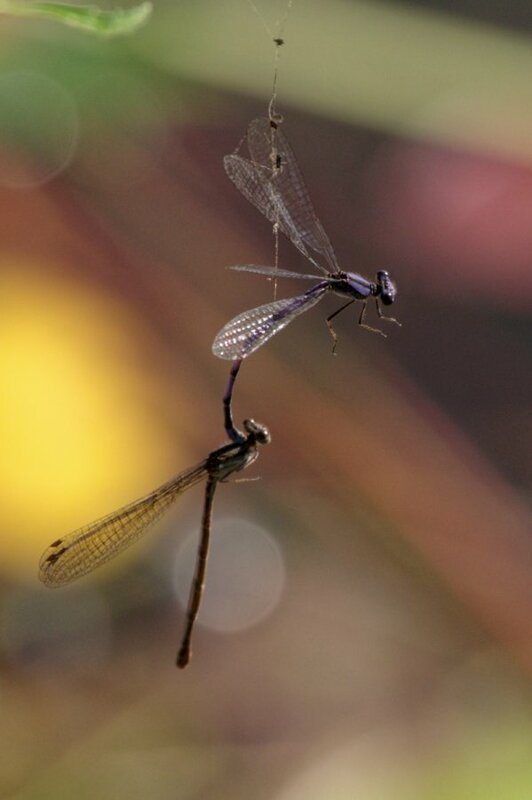 A male Damselfly stuck in a spider's web while mating. She should be able to escape but as long as he has done his bit for the species, I suspect it doesn't really matter! Umm, he may beg to differ! Of course he might, but I think if they both decided to fly while mating, he might escape. 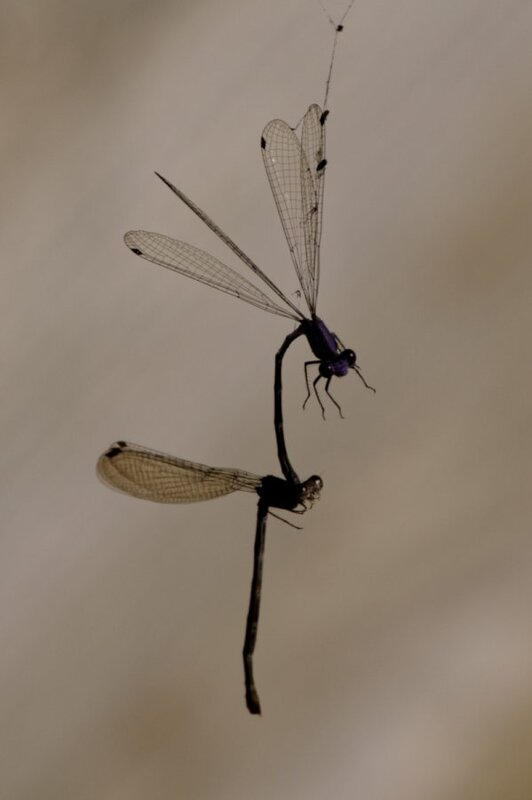 I don't know if that begins the end of life cycle once a male has bred, since the males outnumber females in most dragonfly and damselfly species. So once he has done his bit for the species, I suspect she just wants to be left alone to go find a plant to lay eggs on!